Walking in Lanzarote is fabulous! The island has hundreds of kilometres of trails and seaside paths and offers some of the best scenery anywhere in the world. Coupled with the fact that we have the best climate imaginable, walking on the island is healthy, fun and a great experience. In winter or summer, you’ll sweat much more here than you will in your home country, so make sure you take plenty of water with you, and keep stocking up with more when you come across shops. Most shops sell small and large bottles of water inexpensively, so try to make sure you always have a litre with you. Again, in winter or summer, the UV in the sun here is much higher than in northern Europe, so you will burn quickly, We’d recommend a high factor sun cream, regularly applied, and to cover you head, which will also help with squinting against the sun. Good quality sun glasses are also essential here, because once again, they will filter out the harmful UV Rays. The paths across country are fairly well marked out, so avoid straying off them. For one thing, you might get lost, and you should also remember that much of Lanzarote, particularly the volcanic areas, are protected. Don’t be tempted to steal rocks – it’s actually illegal to do so here! And of course, you should take your litter home with you. Many of the coastal paths here double up as bike lanes, so stay aware when you are on them – it’s easy to stroll across one to see a view and end up being hit by a cyclist. 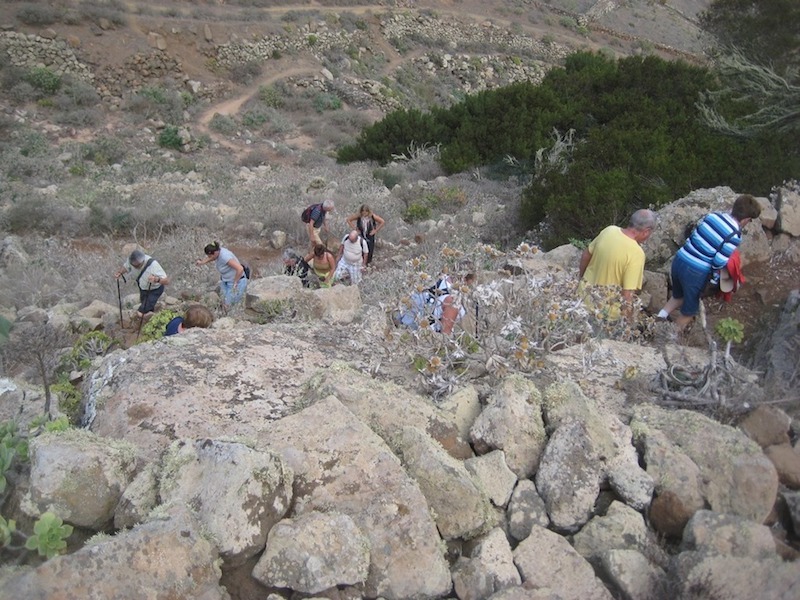 Lanzarote is quite hilly – there are areas in the north that climb from sea level to over 600 metres, so when planning your walks, take the hills into account. They’ll slow you down a lot, and tire you out faster than you might expect.